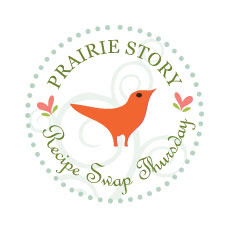 Welcome to Prairie Story Recipe Swap Thursday! This past week has just flown by... it feels like I blinked and it's Thursday again (my favorite day of the week). Recipe Swap Thursday's most popular recipe last week was Chicken Alfredo Biscuit Casserole @ Brenda's Canadian Kitchen. I'll be making this recipe ASAP! Be sure to check all the other recipes too! 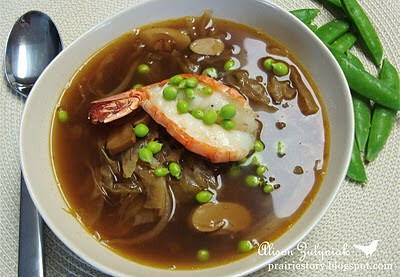 To kick things off this week I've posted a new recipe - my Hot & Sour Cabbage Soup. This soup definitely has some kick to it! The soup looks GOOD! I've never made that before, thanks! I love the ingredients in your soup - they've got a really nice kick to them! I've linked up a new square recipe, which my son insists on calling Blueberry PieCake - if you read the recipe you'll find out why :) Thanks for hosting! The most popular recipe last week was something I was going to make this week, but I forgot the biscuits at the store lol. It is so nice to visit here, each Thursday. I love the recipes, you are getting. I wish, I could make all of them. I love these recipe swaps and so glad I started participating in this one. There are so many great food bloggers out there and it's impossible to get to see them all. This way you really get to check out someone you may never have heard of before. I love it. I've also got my eye on that Mexican Chicken Soup. That is someonething I know my family would love! Your soup looks fantastic. I love interesting soups like that. Thanks for hosting. I just love hot and sour soup. It looks wonderful, I bet it's so tasty. Thanks for hosting! Thanks for the email reminder and the link-up. So many great recipes to read this week. Your soup looks delish! Is that a butteflied shrimp floating on top? Even better! Oh what a yummy soup! Thanks for sharing the recipe! I'm a first timer! Glad to be here! Your soup looks so delicious - I could go for a bowl right now! Linking up for the 1st time! Your soup looks wonderful and I love the idea of a recipe swap! I am a transplanted Winnipegger who lives on Vancouver Island. 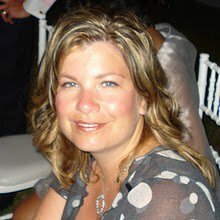 Looking forward to your blogs! One other thing... I forgot to add a link to your blog to my recipe - I have fixed that. SORRY!